The employee was out of work for a three month period and the Law Offices of Dussault and Zatir was able to obtain Workers’ Compensation benefits for her lost wages and medical expenses. She ultimately recovered from her injuries and was able to return to work. Brighton, MA (PRWEB) January 15, 2010 -- The employee was injured while in the course of her employment as a phlebotomist. The employee was traveling to a jobsite on Route 24 North in Taunton when the vehicle she was operating was struck in the rear. The employee sustained soft-tissue injuries to her back and neck. She was diagnosed with a cervical and lumbar strain and sought chiropractic and physical therapy treatment at a local facility. A claim was made against the at fault party’s automobile insurer and ultimately settled after a short-period of negotiations. 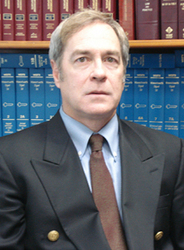 The law office of Dussault and Zatir is based in Southeastern Massachusetts and Rhode Island. They specialize in auto accident injury, serious injury, death claims, and work related injuries in MA and RI. If you’ve been injured in an accident this is all you need to know. Office phone number: 1-800-542-4529.